Sleep: The Most Powerful Performance Enhancer, so why are People Not Making Time for it? UK mattress company Benson for Beds released details of a recent survey they conducted that found 47% of 12,000 adults in the UK get a mere 5-6 hours of sleep per night, well below the suggested 8 hour minimum. It is precisely this type of long-term sleep deficiency that has a detrimental effect on employee’s performance in the workplace. An interestingly similar percentage of participants interviewed cited insomnia as the primary symptom of work related stress. Employees are finding they aren’t able to separate their work life from home life as well as they used to; many take work home with them, and find that working late into the night is directly affecting their ability to fall asleep early. The less sleep you get each night, the less resistant and more susceptible to stress you become: there is a direct correlation between the two variables. One of the easiest ways to ensure enough sleep is being had is by simply making enough time for it. This is the first time in history that sleep has to compete for time in our daily routines as smart phones, television and other devices become more prevalent and time consuming. Many people could benefit from winding down a little before bedtime, even if it’s just 30 minutes. 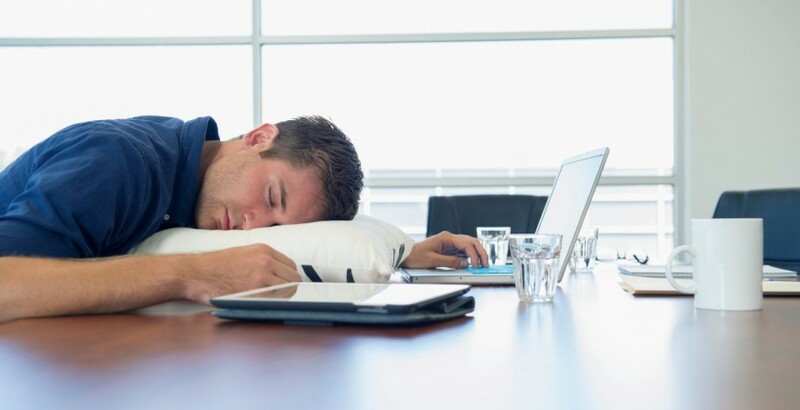 Sleep education programs can also help employees confront this issue by giving tips not only on how to fall asleep quicker, but also how to have a better quality sleep which in turn leads to waking up feeling more refreshed and awake. Research shows that sleep is the most dominant performance enhancer out of any other techniques examined, so it really is important to relay this to your employees in order to have a well-rested, high functioning and happy team!